Thorntonhall is a village in South Lanarkshire, Scotland, with a population rising to around 3000 residents. New builds are being created constantly throughout the area so why not choose Abbeygates to design, manufacture and install a set of beautifully crafted metal gates in your Thorntonhall home. Thorntonhall’s homes are mixed in style ranging from modern new-builds to grand, period homes dating back 400 years. Infact, Thorntonhall was originally a just a farm! Abbey Gates also provides a bespoke service meaning you can choose your design and we will create it to your specifications. All you need to do is sketch a drawing like the one below (doesn’t need to be as accurate) and send it to us be email, post OR we will come out free of charge to measure your driveway and take the drawing from you then. Click here to see our gallery of the bespoke metal gate decor we have made for some of our clients. If your house is modern, you will want to keep the style of your gate modern as well. Any idea you have for a design can be given certain characteristics to make it appear more modern. For example, the black metal gate shown above with the iron flowers attached could of been made into a modern or period gate. 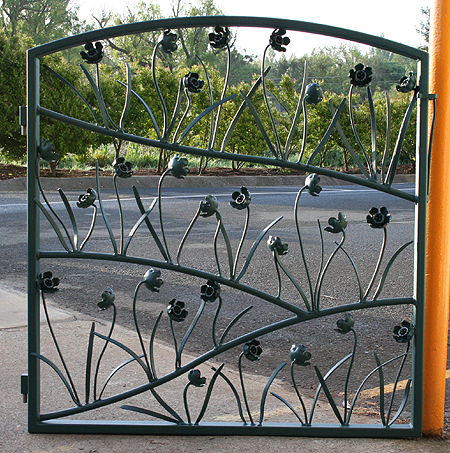 As the gate features sleekly slanted lines, spaced out, simplistic flowers and is painted in only one color, it has a more modern look to it. 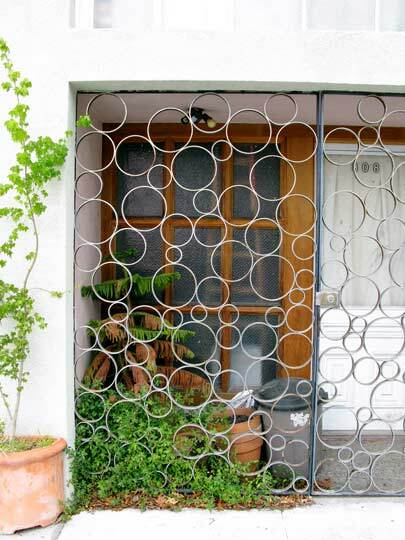 For a ‘period’ metal gate, the design should be in-keeping with Victorian-esc style. As we can see from the beautifully crafted set of metal gates shown below, these have an antique look to them, created by the over emphasized curve at the top, the swirls and golden iron finials for decoration. Once we have visited your property in Thorntonhall to provide a free measuring service and quotation, you can choose from a selection of metal gates and railings in our catalog, or you can show us your bespoke metal gate design.